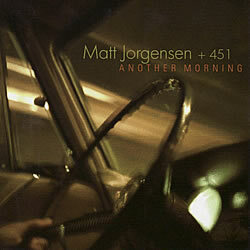 Drummer Matt Jorgensen and his long-time bandmates continue to push their unique sound in new directions with their fourth studio recording for Origin. With their expansive originals and stirring arrangements of The Beatles’ “Helter Skelter,” Joe Henderson’s “Power To The People,” and Neil Young’s “Ohio,” “Another Morning” provides a broad canvas for the band as they explore the group aesthetic they’ve been developing over the last decade. Also featured are guest appearances by Thomas Marriott on trumpet and Jason Goessl on guitar. “[Jorgensen’s] rock aesthetic lends intensity to his improvisations …” – The New York Post.